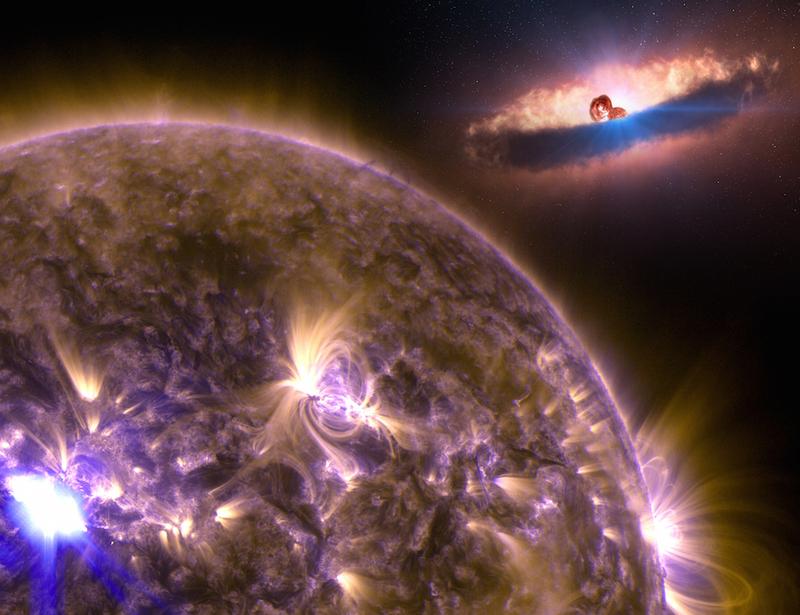 Workshop Announcement: Solar-Stellar Connections will be a half-day workshop aiming to bring together solar and stellar researchers in the Boulder area to meet, share research, and forge collaborations. Motivated by the near-complete transition of NSO headquarters to Boulder, Solar-Stellar Connections will feature introductory talks, posters, and discussion time. Our scientific focus will be the shared interest of studying stars and their astrospheres, our own and those afar. The format for the workshop is modeled after a large group meeting and is open to all: students, postdocs, faculty, research scientists. We encourage attendees to give talks introducing themselves, their work, and even putting out calls for collaborative help on specific projects. We also encourage bringing posters from recent meetings as there will be ample discussion breaks for meeting and talking. A full program can be downloaded here. Workshop summary will be posted soon! Thank you to all who attended! Organizers: Alicia Aarnio (LASP/NSO) and Adam Kowalski (CU/NSO). Email: alicia . aarnio at colorado . edu and adam . f . kowalski at colorado . edu (remove spaces).